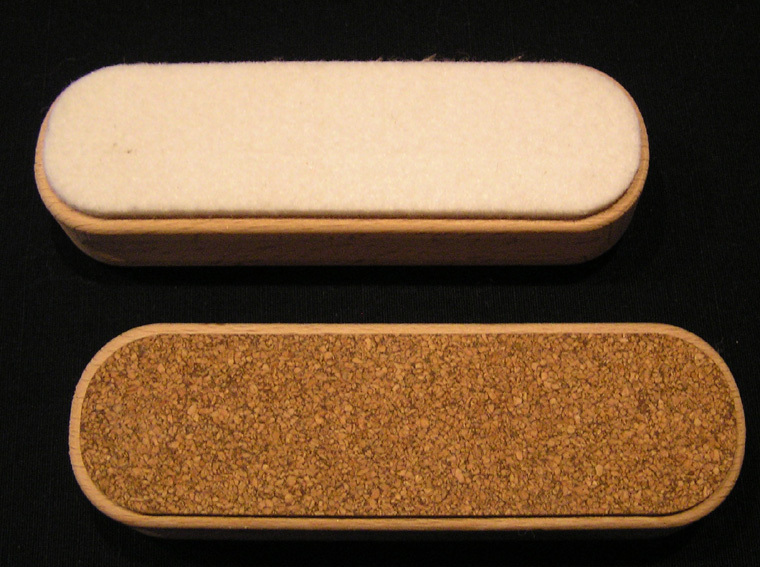 Dual sided cork/felt Race Pad. Vola Brand made in France. Race pads are specially designed for rub in waxes and wax powders. Vigorous rubbing heats the wax to increase base penetration. Q. How good is this brand? A. The 2006 Winter Olympics Downhill Race was won on Vola Wax!! Q. I do not race, why bother using wax? A. Waxing protects the base and gives it a longer life. Apart from making the base run faster and smoother it also make your snowboard or ski turn easier. Q. Is a hot wax better than liquid wax? A. A hot wax penetrates deeply into the base and the more you hot wax the faster and better your base becomes. A liquid wax does not penetrate as deeply, but is simpler to apply and perfect for a days riding.